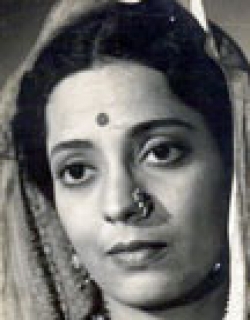 Aas Ka Panchhi is a 1961 Indian Bollywood social film released on 1961. The film is directed by Mohan Kumar, produced by J. Om Prakash under banner named Filmyug. 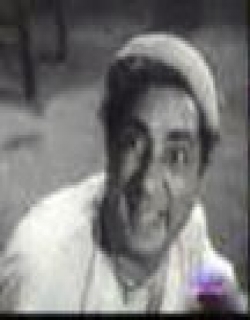 Rajan (Rajinder Kumar) is a small town boy, born in a middle class family. He is obessed with the military and wants to join the army. But his father is totally against it. 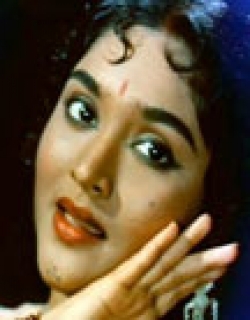 His best friend Ramesh (Shaminder) becomes a surgeon and is destined to marry Nina(Vyjayanthimala). But Rajan and Nina love each other. Nina is a strong spirited woman who always supports Rajan in all phases of his life. Rajan is forced to work as an accountant by his father who never seems to understand his passion of joining the Indian army. He is unsuccessful with no aim in life when Nina advises him that he can still serve his country by becoming a soldier. Ramesh's parents and Nina's father want Ramesh and Nina to marry each other when Nina tells her father that she loves Rajan. Nina's father does not approve Rajan as his son-in-law and so Rajan decides to move out of Nina's life but Nina does not give up. She enrolls herself into the military hospital as a nurse. Her father is upset by this. Then he is called on an important mission where he is kidnapped by the enemy and Rajan risks his own life and saves him. Rajan is felicitated and he accepts Nina as the love of his life. This film shows that if you decide on sometihing, nothing is impossible to be achieved. "Aas ka Panchhi" unfolds on the screen the passion filled tender tale of how a young man dreamt of big things in life and how the love of a beautiful and young girl inspired and held him to achieve his ambitions". . 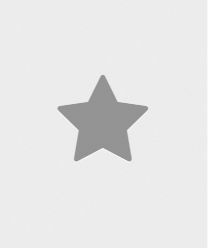 The story centres around three childhood friends Rajan, Ramesh and Mangal, in search of their professional careers and, of course, life mates. . While Ramesh, who is intelligently guided by his parents, gets everything rather easily in life( till at the time of the narratives final denouement he learns that happiness and love are commodities that are not very easily bought), Rajan has to overcome a great deal of family prejudices before he can don an armymans uniform and cliam the hand of the girl he loves. The girls father is his officer; it is easy to win over the girl, but it is more difficult to persuade the father to give him his daughters hand, especially since Rajan joins the army as a mere soldier. . Mangal, who falls in love with a rather plump daughter of a sweet-meat seller, evolves his own formula of love and happiness, in which the convenience of today is more important than the prospects to tomorrow. . And so the three friends, With their own ideas of love and life, their problems overlapping each others go through their respective lives till the shattering powerful battlefield climax in which Rajan proves the only important thing for a man is to act like a man. . And Neena, who had in her own quite way lowed Rajan, looked after the family and prayed for his success,is happy when she sees frustrated young man chage into a confident hero of the battlefield. . All the world loves a lover and when the story ends on a happy note with Rajan and Neena stepping out other cloudy past into a sun-kissed future, the two friends Ramesh and Mangal have smiles on their faces For, so rare indeed and fortunate are the instances in life where a a man gets the job he wants and the girl gets the man she loves ! . And indeed, equally rare, is a film like" Aas Ka Panchhi" in which you will see and experience all that you have ever wanted to see and experience in a good motion picture. Check out this page for more updates on Aas Ka Panchhi. This page provides latest and updated information about Aas Ka Panchhi (1961) movie which released on 1961. 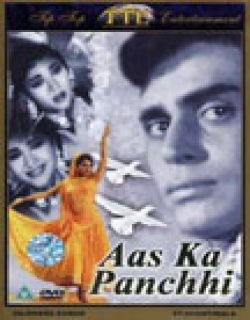 Aas Ka Panchhi (1961) is directed by , produced by , starring .We have also provided 1 trailers and videos, 2 photos, 27 user reviews, and 0 critic reviews.Aas Ka Panchhi (1961) has received 3 rating from user reviews.The overall rating of Aas Ka Panchhi (1961) is 60 and movie is 3.You can review, like, dislike this movie and also can add to favorites. You can also find information on showtimes, CDs, DVDs, online rental, online free watching.